It’s difficult to improve on perfection. While this two-hour CBS 1959 TV Special may not be a remake, it pales when compared to the original. The first “television special of 1959” was an adaptation of the 1944 film “Meet Me In St. Louis” starring Judy Garland, Mary Astor, Leon Ames, Margaret O’Brien, Marjorie Main, Tom Drake and Lucille Bremer. 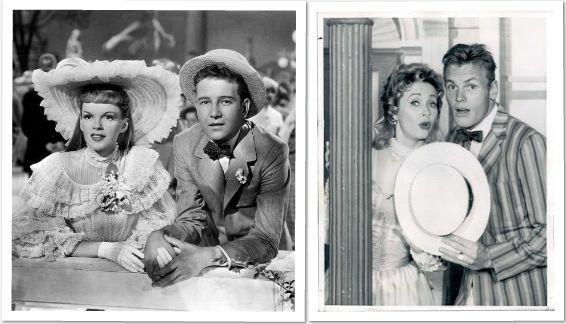 (L) Judy Garland and Tom Drake in the 1944 “Meet Me in St. Louis.” (R) Jane Powell and Tab Hunter reprising their roles in a 1959 TV Special. Adapted from short stories written by Sally Benson, the story follows the Smith family who lives in St. Louis. The story begins in the Summer of 1903 and is broken into segments: Summer, Fall of 1903 with Halloween, Winter of 1903 with Christmas and Summer again in 1904. The story ends as the family goes to the 1904 World’s Fair in St. Louis. The lead, Esther, falls in love with the boy next door named John Truitt and the oldest sister Rose is a flirt who likes older men. The younger daughters Tootie and Agnes cause mischief. The main conflict in the story is when the father announces the family has to move to New York for his job. In the film, Garland plays Esther and Bremer plays Rose. O’Brien plays Tootie, and Ames and Astor are the parents. Tom Drake plays John Truitt, Marjorie Main is Katie the Maid, and Davenport plays Grandpa. Jane Powell as Esther, Jeanne Crain as Rose, Patty Duke as Tootie, Tab Hunter as John Truitt, Myrna Loy as Mrs. Anna Smith, Walter Pidgeon as Mr. Alanzo Smith, Reta Shaw as Katie the Maid, Ed Wynn as Grandpa and Kelly Brown as Lon Smith. -In the 1944 version, the brother Lon doesn’t have a great deal of screen time. The TV special version of the “Skip to My Lou” number at Lon’s going away party is much more elaborate. Lon becomes the star of the show. He leaps and jumps over girls. The number almost comes across more like the Barn Raising from “Seven Brides for Seven Brothers” than a carefree, casual dance at a party. -In the 1959 version, Esther’s whole family ribs her about her crush on John Truitt, and Mom even helps her pick out a hat suitable for “catching a man.” I found this pretty hokey. And who’s Mom would really do that? -The iconic “Trolley Song” number from the 1944 film is obviously shot while the singers are on the trolley and the trolley is (supposedly) moving. The teenagers are riding the trolley to the swamp to see what progress has been made on what will be the 1904 World’s Fair grounds. 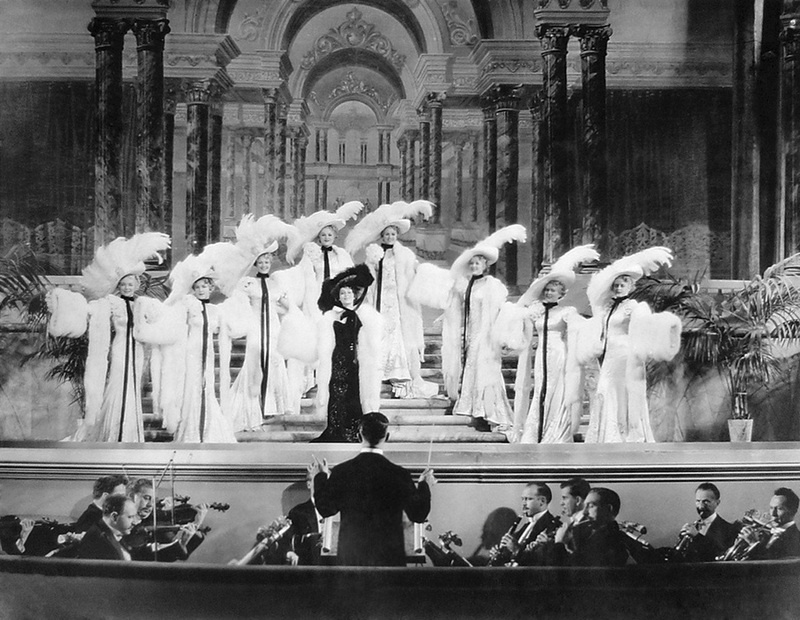 In the 1959 version, the singers and dancers aren’t actually on the trolley for the majority of the song. However, I’m sure this had to do with limitations of a television studio. Also in the TV special Esther isn’t as surprised when John Truitt arrives on the trolley, they had a date to go to the swamp together. 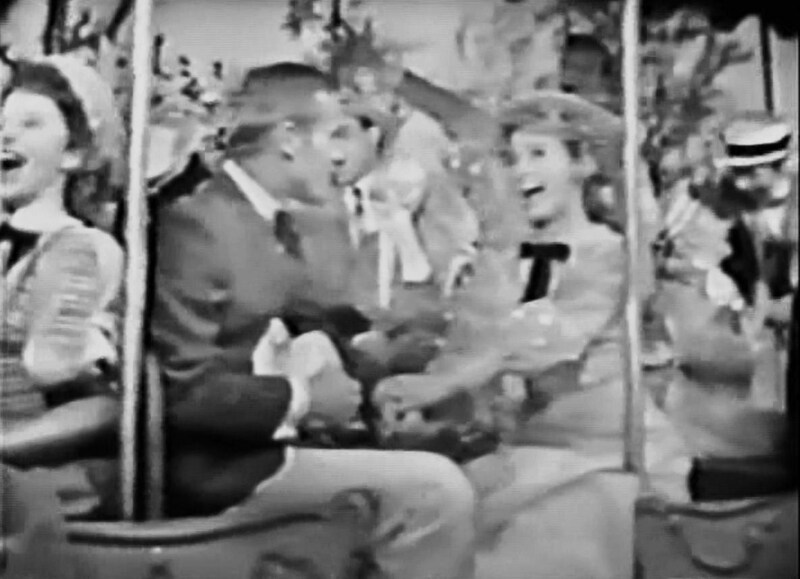 Tab Hunter and Jane Powell in the trolley song (yes this is about how the quality is. -Unlike the 1944 version, we see the characters at the swamp in the television special. It’s fun but not entirely necessary. During their time at the swamp, Hunter sings “Boys and Girls Like You and Me” which was dropped from the 1944 print. -In the Halloween scene, Tootie said John Truitt “tried to kill her” and Ether goes and hits him (and later apologizes when she learns the truth) to defend her little sister. 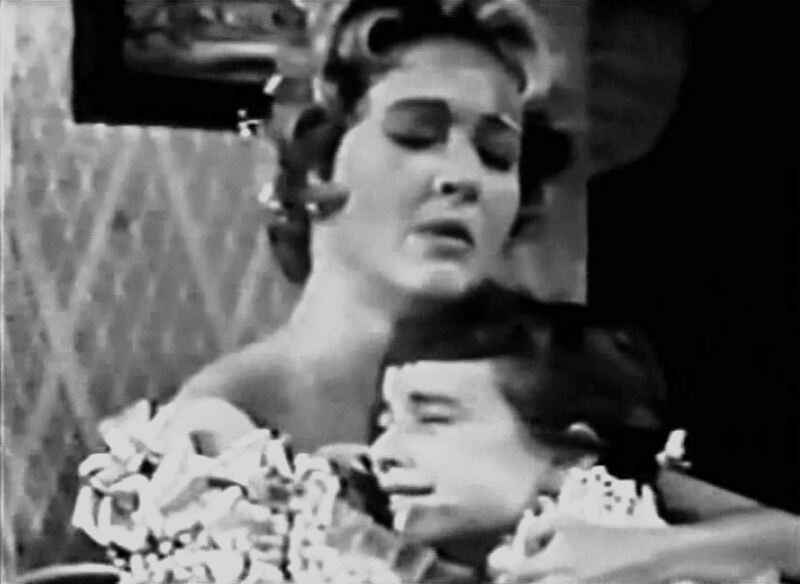 In the 1959 version, Hunter sings “When Did This Feeling Begin” after this scene- giving John Truitt’s character two songs in the special. Truitt doesn’t sing at all in the film. -After Esther sings “Have Yourself a Merry Little Christmas,” in the film- Tootie goes berserk and knocks down snowmen in the backyard. On TV, Tootie digs up her “dead” dolls from the backyard. Mother comes to comfort her rather than Esther. -The TV Special ends with the family walking off the porch to go to the World’s Fair, rather than them actually going to the fair like in the film. Again, this probably had to do with television limitations. While I love every actor in the 1959 TV Special something is just severally lacking. Jane Powell sings “Have Yourself a Merry Little Christmas” to Patty Duke. Jane Powell is one of my favorite actresses of all time, but let’s face it, she just isn’t Judy Garland. Comparing the two is really like trying to compare apples and oranges. Powell and Garland have very different singing styles, but they are equally pleasant. Hearing songs like “The Boy Next Door” and “The Trolley Song” sung more operatically is a bit different if you are used to hearing the songs performed the way Garland does. Myrna Loy is another one of my favorites, but I didn’t care for her as the mother in this special. Maybe it was the script, but she was a bit dreamy and sweet. Mary Astor’s role was more of a strong mother, in my opinion. Jeanne Crain’s Rose was less snooty than Lucille Bremer. Though it might be unbelievable, Patty Duke’s Tootie was sometimes as annoying or worse than Margaret O’Brien’s. Mainly because Duke would flat out screech, like how “John Truitt tried to kill” her. O’Brien’s specialty was tears rather than screaming. I think the only casting I flat out disagreed with was Tab Hunter, who was an odd John Truitt to me. However, I don’t have any other suggestions for a “Boy Next Door” type in 1959. The one actor I loved the most in the TV role was Walter Pidgeon. He has a fatherly warmth but is also a good curmudgeon. With top-notch actors in the roles, I’m not sure what fell flat for me with the TV special. It wasn’t bad or terrible, just different. The 1944 film is charming, colorful, nostalgic and poignant. It makes you laugh, sigh, cry and you don’t want the film to end. I wasn’t sad when the 1959 special ended. I was maybe even slightly relieved. The story was again reused in 1966 non-musical television pilot starring Shelley Fabares as Esther, Celeste Holm as Mrs. Anna Smith and Morgan Brittany as Agnes. While I wouldn’t call the CBS “Meet Me in St. Louis” a remake, it didn’t improve upon what was already in place. With a new cast, adding extra songs and originally deleted scenes, you just can’t improve on perfection. 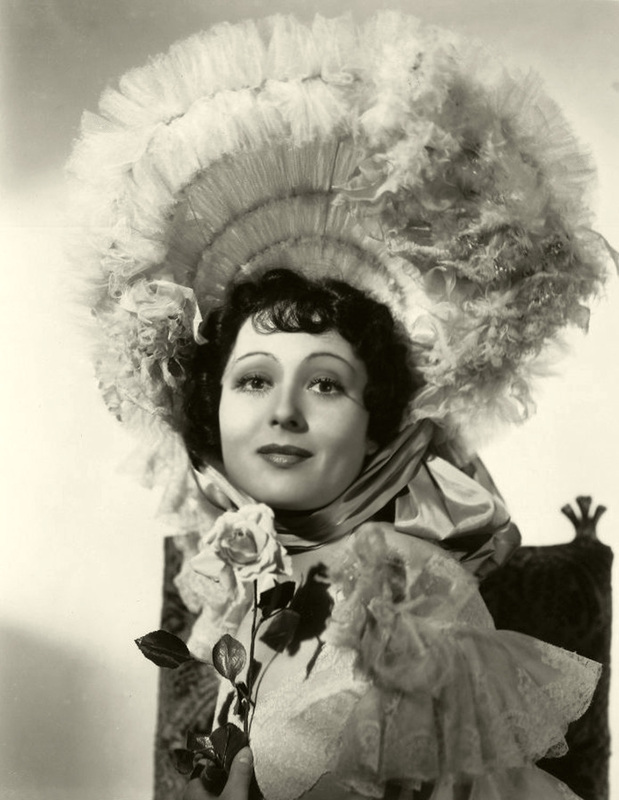 Luise Rainer’s 1936 Best Actress win for “The Great Ziegfeld” is one of those for me. It’s amazing that she was the first actress to win two Best Actress Awards back to back and is still with us at age 103. She did a good job with her role in “The Great Ziegfeld” but it did not leave me wowed. “The Great Ziegfeld” is a fictionalized biography of Broadway producer Florenz Ziegfeld, played by William Powell. Rainer plays Anna Held, who the film says is Ziegfeld’s first wife. In reality, Held and Ziegfeld lived together for a year while she was getting divorced. After the divorce was finalized, the couple announced that they considered themselves married, though they never officially were, according to Musicals 101. Ziegfeld later went on to marry Billie Burke, who many people know as Glenda the Good Witch in “The Wizard of Oz” (1939). Burke is played by Myrna Loy in the film. Out of the nearly three hour movie, Rainer is in roughly 40 minutes. In the film, Held is a bit of a diva. For example, she throws a temper tantrum (and orchids) when Ziegfeld tells the press that Held bathes in milk for publicity. Another time she gets upset because Ziegfeld is producing two shows, and will only let her be in one. In the end, Ziegfeld treats Held rather badly, going after a character played by Virginia Bruce in the film. I think Bruce’s character is supposed to be Lilliane Lorraine, who Ziegfeld left Held for in real life. In the movie, Anna Held leaves Ziegfeld after seeing him embracing another woman. Shearer, Dunne and Lombard were already established stars and are all excellent in their films. 1. “Theodora Goes Wild” and “My Man Godfrey” both were comedic roles. Though comedy is usually more difficult to perform, it doesn’t seem to be taken as seriously with awards. 2. Shearer is good as Juliet in “Romeo and Juliet,” but she is a 34-year-old woman playing a 16-year-old girl. That may not have had anything to do with her not winning the award, but it does make the role less believable. -Best Song nomination for “Do I Remember?” from “Suzy,” a song performed by a dubbed Jean Harlow. Apparently, Rainer’s win was also controversial at the time, since she was still rather unknown and the role was considered more a supporting one. Some say she won because of the $2 million budget MGM studio head Louis B. Mayer spent on the film (though this doesn’t make since to me, since it also won Best Picture). Others say it’s because of the broken hearted telephone call to Ziegfeld, congratulating him on his marriage to Billie Burke. Why do I think Rainer won the 1936 Best Actress Award? I personally wonder if it was process of elimination and reluctance to give the award for a comedic performance. Who do I feel deserved the award? Either Dunne or Lombard. Rainer went on to win the Academy Award for Best Actress in 1937 for her role as O-Lan, a Chinese woman, in “The Good Earth.” The role is a personal favorite of Rainer’s, and an award I feel she deserved. Winning the Academy Award two years in a row is something Rainer said was one of the worse things that could have happened to her.